Friday Fun: The No. 88 Menards/Ideal Door Ford F-150 unloaded at Martinsville Speedway Friday where it took to the track for two practices. 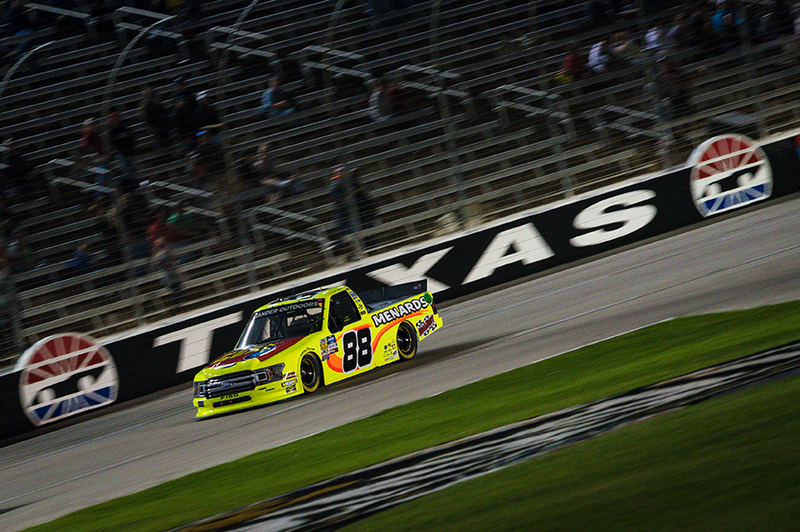 Matt Crafton posted an 18th-place finish in the first practice and a 16th-place finish in final practice. 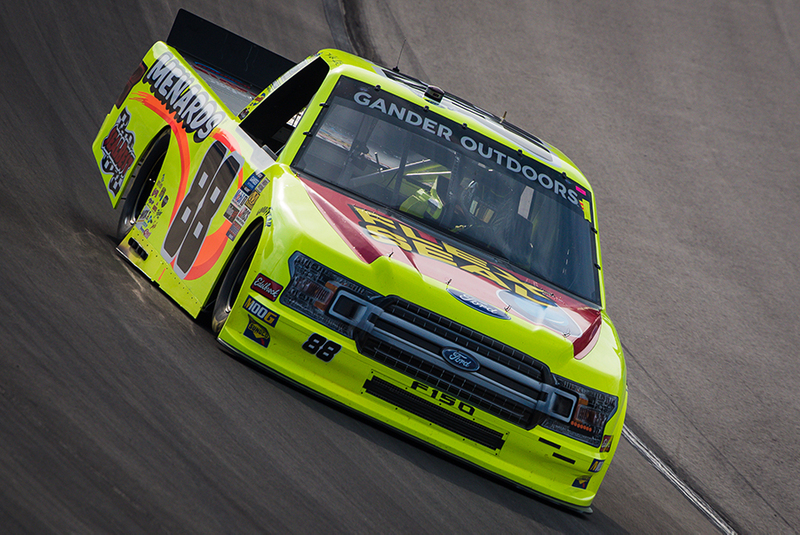 The NASCAR Gander Outdoors Truck Series (NGOTS) TruNorth 250 qualifying is slated for Saturday, March 23 at 10:40 a.m. on Fox Sport 1 and the Fox Sports 1 app. 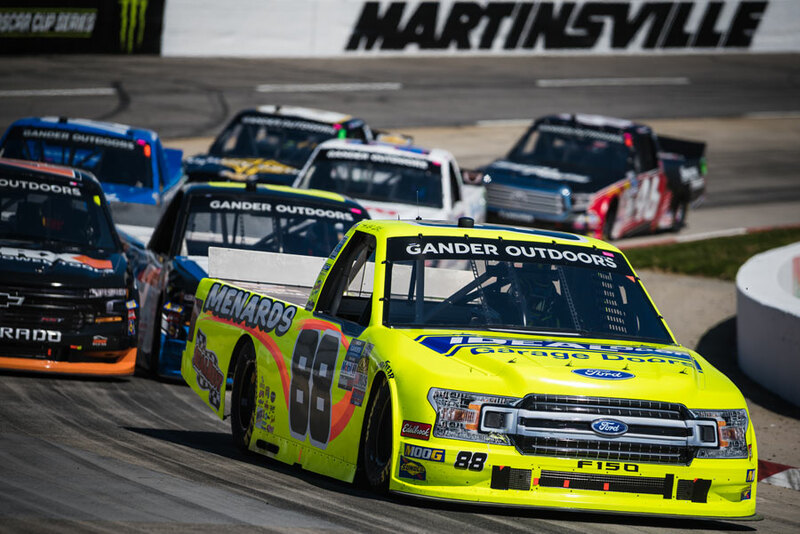 Take me back to Martinsville 2018: Matt Crafton will make his 35th NGOTS start at the 0.536-mile “Paperclip” Saturday.  In 34 previous starts, The ThorSport Racing driver has one pole (October 2011), two wins (March 2014 and October 2015) and has led 385 laps. Additionally, the two-time Martinsville Speedway winner has the most starts (34), the most top-five finishes (9), the most top-10 finishes (19), has completed more laps (7,736), and has the most lead lap finishes of any other active driver entered into Saturday TruNorth 250. 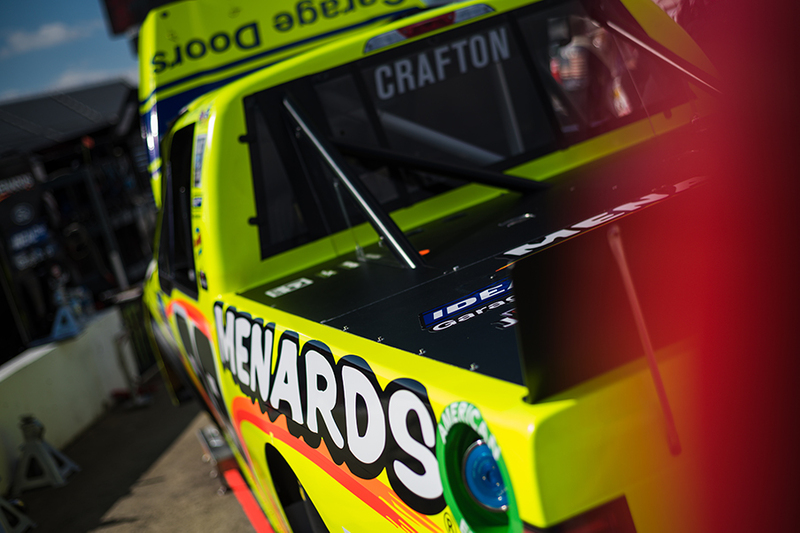 2019 Stats: In three starts this season, Crafton has led four laps en route to two top-five finishes (Daytona, Las Vegas). The Menards driver best start this year is 10th (Atlanta), and he has an average start of 13.3, and an average finish of 7.3. Race Rewind: After starting 15th at Las Vegas Motor Speedway on March 2, the No. 88 Ford rebounded to a third-place finish following lengthy pit stops to repair damage after being involved in an accident early in the race. Off-Weekend Fun: Crafton joined three of his fellow ThorSport teammate in Sebring, Florida to compete in the IMSA Michelin Pilot Challenge Alan Jay Automotive Network 120 on Friday, March 15.